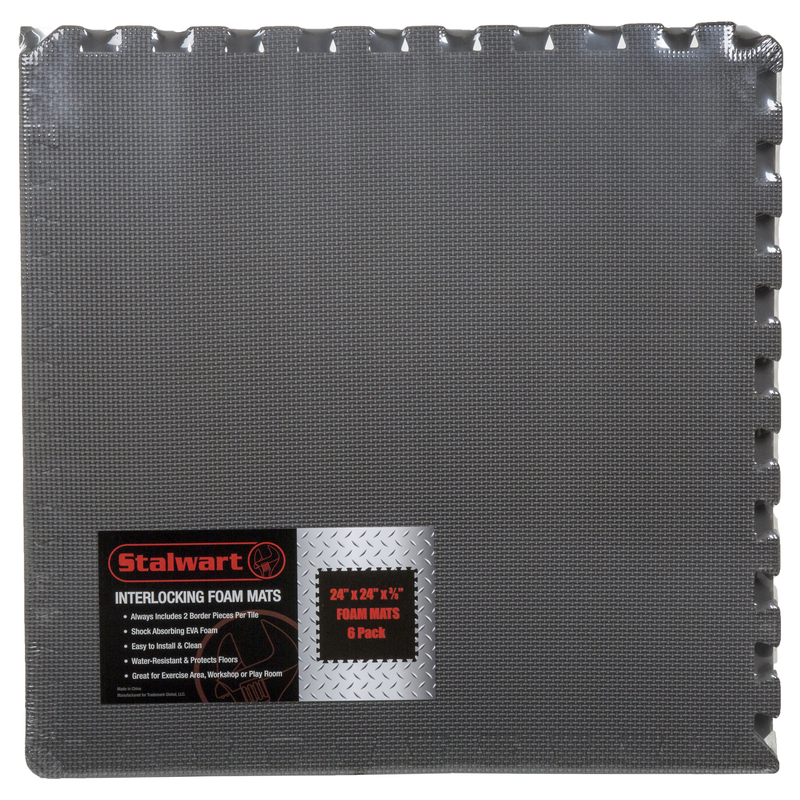 The Stalwart Interlocking EVA Foam Floor Mats will help reduce fatigue and protect your floors thanks to a full 3/8 inch of thickness. 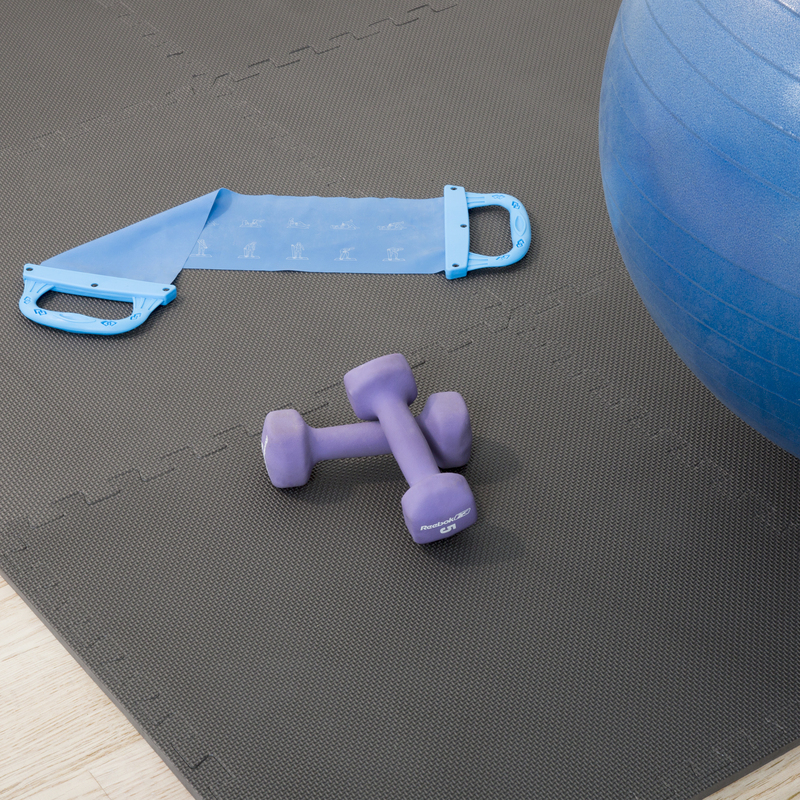 These quality Floor Mats are perfect for exercise areas, workshops or kids play areas. Give yourself shock-absorbing comfort when doing Yoga, Pilates, Cross Fit or weight lifting! Protect your little ones when they play, by assembling the mats into a virtual carpet to cover the play area floor! Can also be used in any room you might be standing for long periods like your kitchen or bathroom. 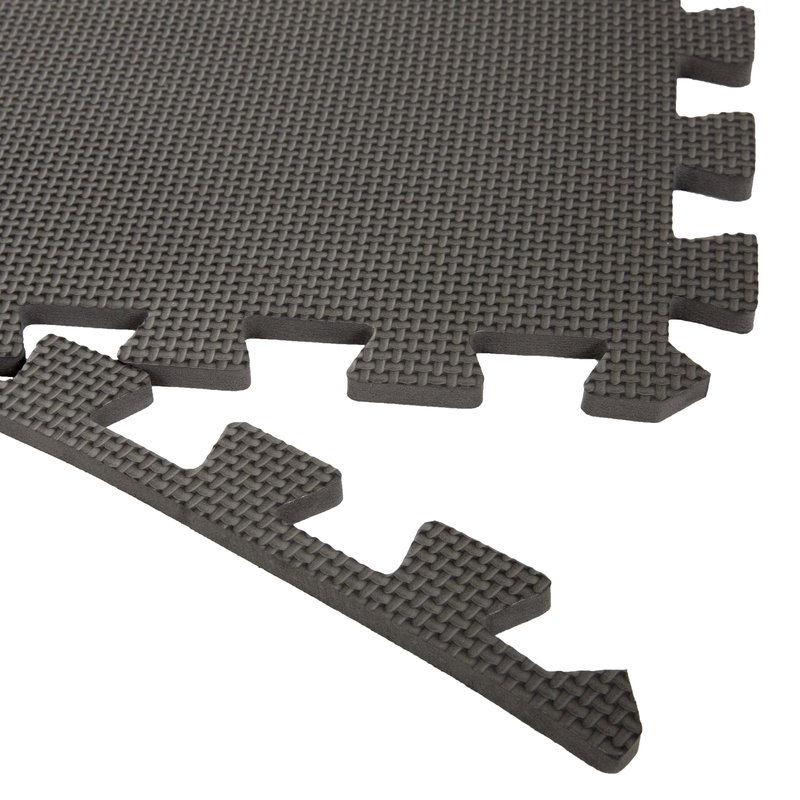 These mats are NON-TOXIC, easy to assemble and wipe clean with soap and water. They offer water resistance and a non-slip surface. The light-weight interlocking tiles each come with two straight edge pieces so you can assemble the mats in a rug-style look. Buy multiple packs to allow yourself the opportunity to mix and match colors, expand the size and personalize your design! Thanks to the puzzle piece edge design, when interlocked the mats stay firmly in place. 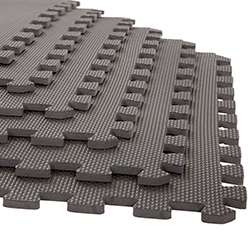 Six mats (1 pack) will provide 24 square feet of coverage, twelve mats provide 48 square feet, eighteen mats provide 72 square feet and twenty four mats provide 96 square feet!